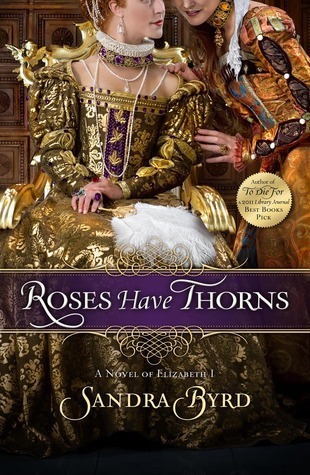 This is for an upcoming blog tour and I am looking forward to reading it - I love reading books about Queen Elizabeth I!!! This showed up in my mailbox this week and it looks really intriguing...but I have no idea when I am going to get to it - so many other review books are ahead of it! This is for a book tour in May and it sounds like it will be a very interesting book. This is the second in Lori Foster's Love Undercover series and I cannot wait to read it! I saw this on sale via Amazon and just had to get it...I've had this book on my wishlist for a while and now I just need to find time to read it! 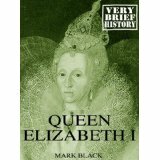 First line: The reign of Henry VIII was one of the most revolutionary periods in English history. Summary from Goodreads: Love history? Know your stuff with History in an Hour. In his ambition to provide a male heir to the throne, Henry VIII married six times. Divorce from his first wife, Catherine of Aragon, caused England’s break from the Catholic church in Rome. He went on to divorce Anne of Cleves and behead Anne Boleyn and Katherine Howard for infidelities. Jane Seymour died and Catherine Parr survived Henry. Henry VIII’s Wives in an Hour will introduce you to these six entirely diverse and captivating personalities and the events that propelled them to their individual fates. You will learn which wife had what impact on Henry and England and understand why Henry and his six wives form the most popular period of Tudor history. 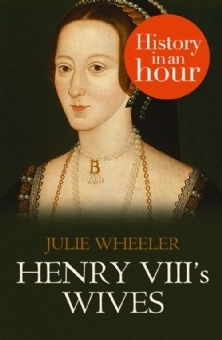 Know your stuff: read about Henry VIII’s wives in just one hour. My thoughts: I love historical fiction, particularly anything having to do with the Tudors. I will admit that I have not read anything non-fiction about this time period until now. I first saw this book being reviewed on someone else's blog and knew I just had to see if I would like it. Well, I loved it! 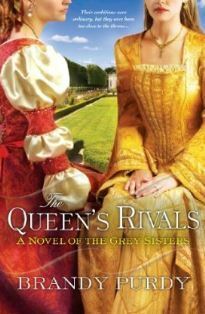 I've read quite a few historical fiction books about Henry VIII and all his wives, but never one book that discusses all six. We are given brief accounts of how Henry VIII came to be with each wife and what ended up happening to them. My favorite quote in the whole book, which is apparently a famous rhyme in trying to remember the wives is: Divorced, Beheaded, Died; Divorced, Beheaded, Survived. I'd never heard this before and now have a way of remembering the order of each wife. I do have to say that I do not actually know if this only took an hour to read. I read it in bits here and there, while curling my hair, while waiting for a meeting to start, etc. I did like that it was easy to read and yet I felt that I got a good account of the marriages. I'm looking forward to reading books in this series. I've already downloaded a few others and just need to get around to reading them. What about you? 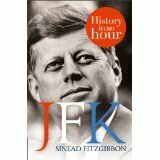 Have you read any of the History in an Hour books? First line: Make a wish. From the back cover: Love was given to all, except herself . . . Kit Brennan has always been the most grounded of her sisters. A Catholic school English teacher for seventeen years and a constant giver, her decisions have been sound—just not very satisfying. 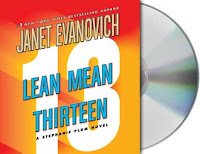 Her fortieth birthday is right around the corner, causing Kit to consider some wilder notions, like skipping right past the love and marriage to raising a child all by herself . . .
A girls’ weekend away is just the reprieve Kit needs from school, Mr. Wrongs, and life-changing decisions. It’s there that she meets a man who’s dangerous; a man who challenges who she thought she was, or rather should be. Kit wants to indulge herself this once, but with one of her students in crisis and the weight of her family’s burdens weighing heavy on her heart, Kit isn’t sure if now is the time to let her own desires take flight . 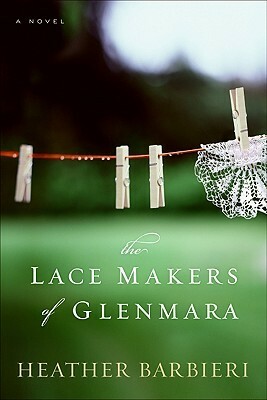 . .
My thoughts: This is the second book in Jane Porter's Brennan Sisters series and I was lucky to meet Jane the night before the book was published at a small release party held by a local independent book store. Jane is a delightful, down-to-earth person and I enjoyed the evening. 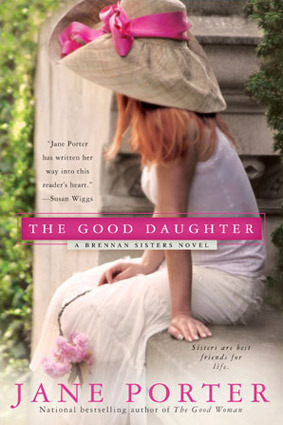 The Good Daughter is Kit's story and it's quite an emotional ride. Kit seems to be at a crossroad in her life. She's just gotten out of a 10-year relationship and has starting the whole dating process again. The problem is that she's almost 40 and doesn't have a lot of time to wait around to find the perfect guy to start a family with. But that's not the only thing she seems to have on her plate at the moment. Her mother, the glue that holds the Brennan family together, is dying of cancer and Kit is trying to help out as much as possible. On a girls weekend getaway to her family's beach cottage in Capitola (oh how I wish I had a beach cottage to get away to right now!!!) she meets for all intents and purposes the absolute Mr. Wrong...but is he really that bad or have appearances deceived Kit? And it seems that this Mr. Wrong, Jude, isn't only a Capitola guy - he shows up back at home and ends up helping Kit with a student in her class that is having problems at home. I loved this story. I enjoyed the first one, The Good Woman, but felt that this one just seemed to pull me in even more. From the Brennan family to Kit trying to figure out what to do next, I was completely hooked. 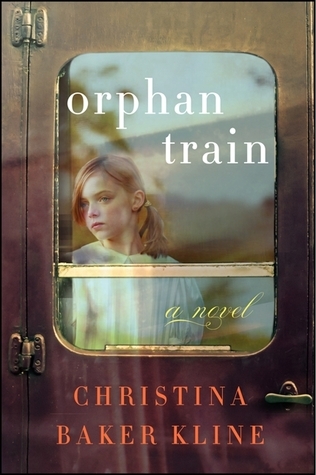 I did find myself reading with some trepidation, though, as I was desperately afraid that Mrs. Brennan would not make it to the next book...the scenes between Kit and her mother was so touching I found myself tearing up quite a few times. 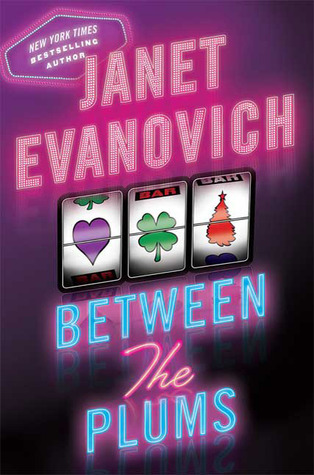 I'm anxious to read The Good Wife, the last of the Brennan Sisters trilogy, due out in September, but at the same time, dreading it as it will be our final visit with these characters. Who was the last author you got to meet? First line: On a beautiful day in June, in front of literally half the town, wearing a wedding dress that made her look like Cinderella and holding a bouquet of perfect pink roses, Faith Elizabeth Holland was left at the alter. My thoughts: I really enjoy reading Kristan Higgins - she writes with great emotion, but also adds just the right amount of humor to her stories to make them really good. The Best Man was laugh-out-loud funny at times, sad and touching at others and just an all around good romantic love story. Faith had left her small hometown after being jilted at the alter - and finding out that the man she had loved for ten years was not who she thought he was. And as if that was not bad enough, it was Jeremy's best friend and best man, Levi, that outed the whole thing. Well, of course on her return to town years later, it would only be fitting to have Levi be the first one she runs into - not on purpose but because as Chief of Police, he pulls her over to give her a speeding ticket. Just her luck!!! From that meeting on, sparks start to fly, but because Levi is a man of few words, it takes a while for those sparks to amount to anything. Along the way, we get flashbacks of Faith in high school from Levi's point of view. These provide some history to understand the dynamics between Faith, Jeremy and Levi. We also learn that both Faith and Levi are dealing with some heavy issues of their own. Besides suffering with epilepsy, Faith also believes that she was the one to cause the accident when she was little that killed her mother. This is what motivates her to find someone for her father when she is back in town - that and the fact that he seems to be totally oblivious to the gold digger that has set her eyes on him. Levi is dealing with some PTSD after serving four tours in Afghanistan - which is why Faith constantly smells chocolate cookies being baked in the middle of the night! He is also responsible for his sister, Sarah, now that their mother has died. I have to say I think the best part of the story, besides the romance that develops between Faith and Levi, are the quirky characters that Kristan Higgins seems to assemble. First, there's Jeremy, who despite leaving Faith at the altar, you just can't help love. Then there are Faith's grandparents, Goggy and Pops - they have been married 65 years and who always seem to be at each other's throats. There are a slew of other characters as well that all provide some type of comic relief. When I first got this book, I noticed that under the cover, it says "A Blue Heron Novel." 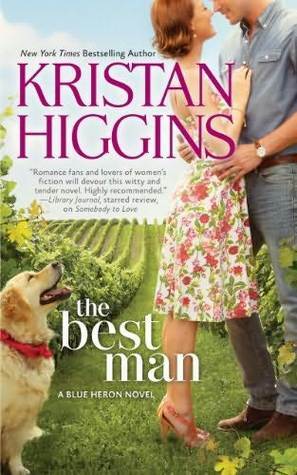 Not having read a Kristan Higgins book in a while, and certainly not having read all her previous books yet, I did a little digging and found out that The Best Man is the first in her new series of books set in Blue Heron. 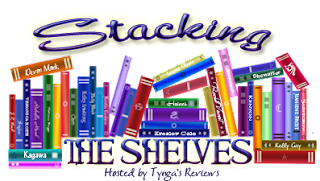 Luckily, Kristan addresses this in her guest post below! I can't wait to read the rest of the books and to see who they feature. About the author: Kristan Higgins is a New York Times and USA Today bestselling author and two-time winner of the Romance Writers of America RITA® Award; she lives with her family in a small Connecticut town that boasts a wonderful library, a great agricultural fair, a really good ice-cream stand and not much else. She is the mother of two lovely kids and the wife of a brave firefighter who is also (perhaps more important) a fantastic cook. 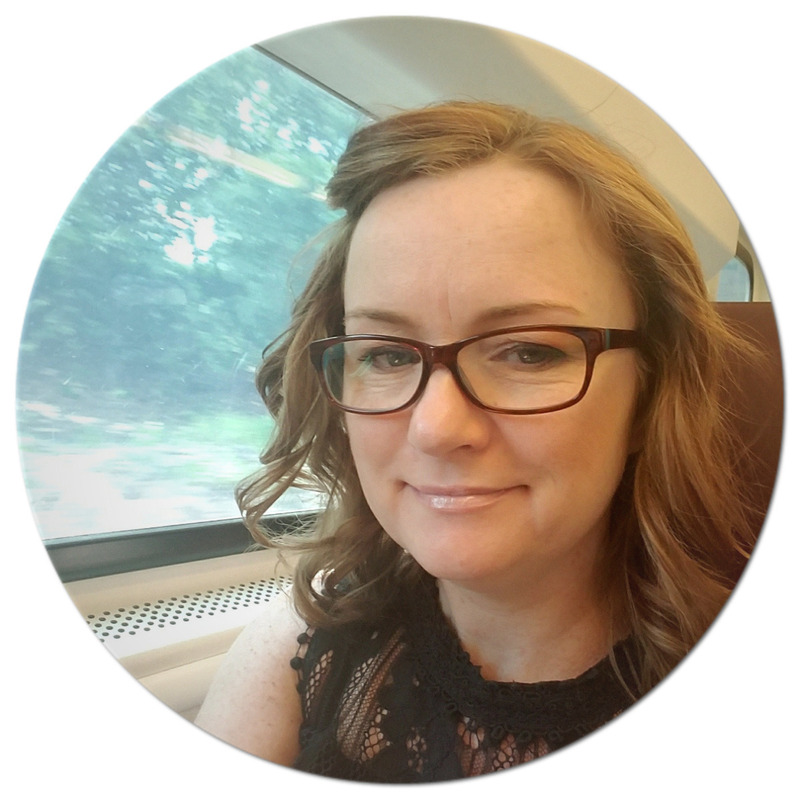 Previously a copywriter, Kristan began writing fiction when her children graced her life with simultaneous afternoon naps. Writing, she found, was infinitely more satisfying than folding laundry, and so began her first novel. Kristan holds a B.A. in English from the College of the Holy Cross, which means she can identify dangling participles, quote many great novels and play a mean game of Scrabble. 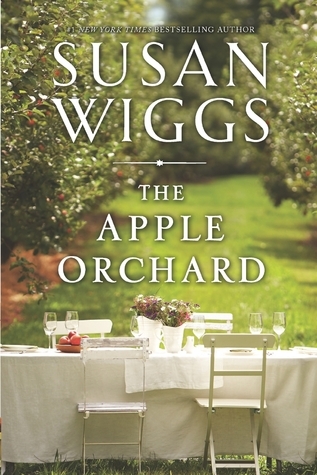 Kristan is an award-winning baker, devoted fan of the New York Yankees and an avid reader. She and her crew spend as much time as possible at the family home on Cape Cod, where they shiver in the Atlantic, ride bikes, swat horseflies and don’t catch any fish. Can you give us some background on THE BEST MAN, and how you came up with the idea for the Blue Heron series? Well, I wanted to write a series for a couple of reasons. The first was simply that I tend to become deeply attached to my characters and settings. As fun and invigorating as it is to start fresh, it’s always hard to leave those towns and people behind. The second was because readers asked for a series…I guess they feel the same way. Because families are so integral to my stories, I wanted to create a family business that would serve as a foundation for the first two books and set the backdrop for the area. I wanted something scenic, a business that had a lot of heart, beauty and fun to it…so a vineyard seemed perfect. Being a Yankee, I wanted to stay in the Northeast; one of the things I think I do well is capture the sensibility of a region, and it would be hard to do that if I set a book in California, simply because I haven’t spent too much time there. My brother, who owns a wine shop and has worked in the wine industry all his adult life, recommended the Finger Lakes region of New York and put me in touch with a tourism bureau up there. A couple of emails, and I had some very nice contacts up there. My husband and I went up for a long weekend, and it was truly one of the most beautiful places I’ve visited. We met with some winemakers, tasted a lot of great wine, and the series started to take shape. The idea for THE BEST MAN started with a scene—Faith, the youngest of the Holland children, is jilted at the altar. I loved that idea, the sheer visual impact of such a scene. As with any kind of romantic trope I use, I wanted to make sure that there was an excellent reason for her being jilted. I literally sat there at my computer and said, “Okay, what are some really good reasons to stop a wedding?” I even made a list. He’s a drug addict. He’s had an affair. He’s abusive. But in those cases, the heroine would’ve had to have been really obtuse or weak or scared…I didn’t think I could relate to someone who would let things get all the way to the altar in those cases. Besides that, I don’t write dark stories. So I kept typing away. He’s gay. I stopped at that last one. Mulled it over. What if Jeremy, the fiancé, was gay? And no one knew it. Why would they not know? Because he doesn’t fit any of the clichés. Because he’s been with Faith since high school. Because he played football and became a doctor and seems too evolved to have been in the closet, not to mention too wonderful a boyfriend to have been pretending. Only one person suspected, and that’s Levi Cooper, Jeremy’s best friend…and best man. So with that scene firmly in mind, the book was born. Since that information comes out in the prologue (along with Jeremy, I guess), I don’t think I’m giving anything away. From there, it was really fun to look at both Levi and Faith, and see why and how they got to that defining moment, and how they move forward. Thank you Kristan for writing this great guest post...and be sure to check out the other blogs participating in the The Best Man blog tour. First line: The television in Emily Castle's Aspen, Colorado, hotel room was tuned to the Weather Channel, where there was minute-by-minute coverage of the hurricane aiming directly at North Carolina's coast, the place that had been like a second home to her. 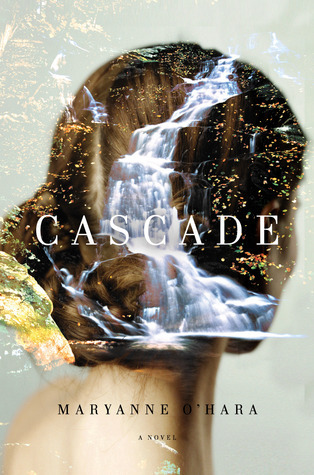 About the book: In a trade-off she's lived to regret, Emily Castle left home years ago to become an interior designer. The youngest of three sisters, Emily desperately wanted to prove herself. Success, though, came at the cost of leaving behind the man she loved.For Boone Dorsett, losing Emily left his heart shattered, but another woman was waiting in the wings. Now a widower with a young son, Boone has a second chance with Emily when a storm brings her home. But with his former in-laws threatening a custody suit, the stakes of loving her are higher than ever. 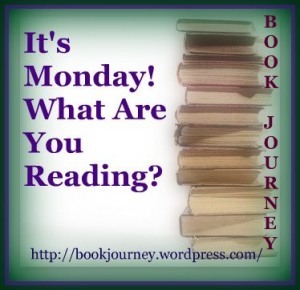 My thoughts: Sherryl Woods is definitely one of my go-to authors. I've read most of her series and know that I am always going to fall in love with the characters she creates. She writes about families and the dynamics that come with them, as well as characters that are just trying to find their way in life. 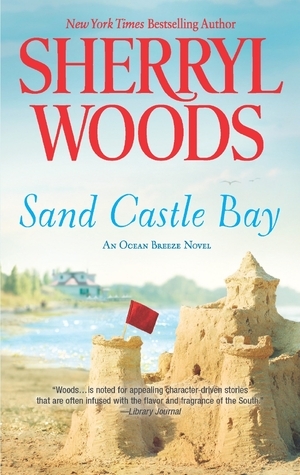 Sand Castle Bay is the first book in Sherryl Woods' new Ocean Breeze series and we are introduced to the three Castle sisters and their feisty grandmother, Cora Jane. Each of the Castle girls are grown and living their lives in different places around the country, but come running back to Sand Castle Bay to help their grandmother clean up her restaurant after a hurricane has wreaked havoc. 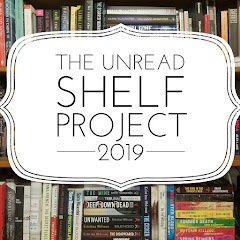 The story focuses primarily on the youngest Castle sister, Emily, but we do get to meet Gabi and Samantha, who will each be the focus of upcoming books. Emily had left Sand Castle Bay years ago to pursue her dreams, leaving in her wake the man, Boone Dorsett, who had stolen her heart since they were teenagers. Not once looking back, she focuses her every waking breath on her interior design business. Now back and helping with the clean-up, she comes face-to-face with Boone. While he has stayed in touch with her family, this is the first time in over 10 years that Emily and Boone have seen each other. A lot has happened to Boone during the ten years, including a marriage, the birth of his son and then the death of his wife. One thing that has remained constant is the fact that part of him still loves Emily and the same can be said for Emily. Will they be able to overcome the past and the many obstacles that are in their way to get their happily-ever-after? I loved getting to know this new cast of characters and am looking forward to visiting with them in the next two books of this series. As with all her books, Sherryl Woods is able to create real-life problems for her characters - problems that almost everyone can relate to. In this case, there's the issue of being able to balance work and family and then there's the issue of dealing with one's in-laws after the death of a spouse. As the book progressed, we are given little hints to future story-lines and I can't wait to see if what I think might happen really does. Thanks to Amy at McAllister PR I have one copy of Sand Castle Bay to give away to my readers. * Mandatory entry - Tell me why you want to read this book. All entries can be in one email - but you MUST include email address or no entry. 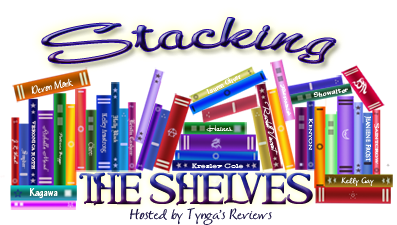 This past weekend I participated in another Bloggiesta and I got a ton done!!! First, I found a replacement for Google Reader - I've decided to go with Bloglovin'. I do hope you'll consider following me there. Second, I finally bit the bullet and signed up for a twitter account for my blog. Not sure how much I will use it, but I will try. You can follow me at @alwayswithabook. If you're on twitter or using bloglovin', please let me know so I can check it out. Another Bloggiesta has come to an end! This event couldn't be more timely as I been neglecting my blog lately due to life getting in the way. Now if only I can figure out a way to stay caught up on some of the more mundane housekeeping things on a regular basis, some of these tasks won't need to keep showing up on my to-do list! Didn't do any this time - got so caught up in my other to-do items that I forgot all about these - oh well, there's always next time! Joined in the twitter parties on Saturday and Sunday - so much fun!!! All in all it was one productive weekend and I already have another list of things to do for the next Bloggiesta, which will be sometime towards the end of September. There might also be another mini-Bloggiesta towards the end of July. Now I am excited to visit everyone and see how much they got done and see if I should be adding more to the new list!!! 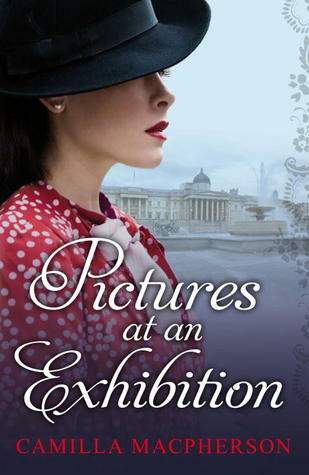 This is for an upcoming blog tour and I am looking forward to reading it!!! I was approached by the author to read and review her book. The premise sounds really interesting and I am hoping to get to this book soon. 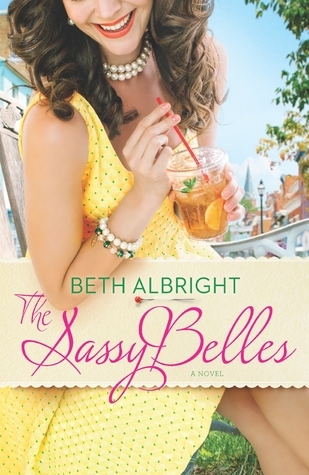 This is the first in a series of books by former Days of Our Lives actress Beth Albright. It looks like it will be chick lit - Southern style! This combo contains three of the short Plum novellas - two of which I need to listen to. I already listened to Visions of Sugar Plums earlier this year. 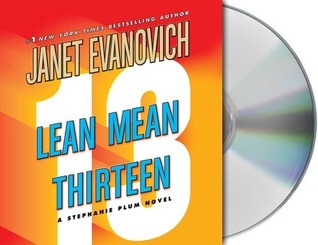 I'm currently up to Plum Lovin' and then after the thirteenth book, will need to listen to Plum Lucky. I just love listening to this series and am hoping to be caught up by the end of the year! I recently found out about these books and love them. Of course, the JFK lover in me had to get this one! This is a series of books similar to the History in an Hour. I thought I would give them a try with this free one! This is an upcoming release for the first book in Susan Wiggs's newest series, Bella Vista. I've read quite a lot of books by her in the past and am excited to start this series!